Vehicular assault is a very serious offense. If you are convicted, you risk facing years in prison and costly restitution in the thousands of dollars. You will have a felony on your permanent criminal record, which can be accessed by any employer, landlord, or lending agency that wants to run a background check. The bottom line is that the charges against you can change your life forever. You simply can’t afford to tackle the prosecution with aggressive legal support on your side. At Sullivan & Galleshaw, our skilled team of New York criminal defense attorneys brings more than 30 years of experience to the table. We have handled cases throughout the five boroughs, and are prepared to fight even the most complex charges on behalf of our clients. We offer free consultations for new clients, and will always keep your information confidential. To start discussing your legal options, call Sullivan & Galleshaw at (800) 730-0135 today. 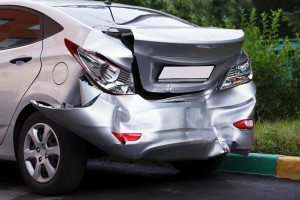 When Can You Be Arrested for Vehicular Assault in New York? 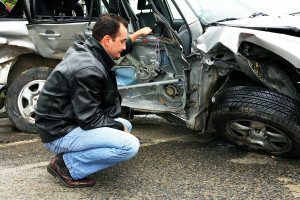 Definition – Charged when a defendant seriously injures somebody with their vehicle, and was either (1) driving a motor vehicle, snowmobile, or ATV while DWI, or (2) was driving a commercial vehicle weighing at least 18,000 pounds which was filled with flammable, radioactive, or explosive material. Definition – Charged when a defendant commits second degree vehicular assault and either (1) was driving with a BAC of 0.18% or greater, (2) was knowingly driving with a revoked or suspended license, (3) had a DWI or DWAI from within the past 10 years, (4) seriously injures more than one person, (5) had a previous vehicular manslaughter or vehicular homicide conviction, or (6) had a passenger aged 15 or younger who was seriously injured. As you can see, there are numerous scenarios that can lead to vehicular assault charges. When Are the Charges Aggravated? Across the country, certain exceptionally serious crimes are categorized as “aggravated.” Depending on the specific offense and jurisdiction, a crime might be deemed aggravated because the victim was very young, was hurt very badly, or worked in a line of employment important to public safety. Under NY Penal Law §120.04-a, the offense becomes aggravated when the defendant commits first degree vehicular assault while driving recklessly. Under NY Vehicle and Traffic Law (VAT) §1212, reckless driving means driving “in a manner which unreasonably interferes with the free and proper use of the public highway, or unreasonably endangers users of the public highway.” Reckless driving is considered to be a misdemeanor in its own right, and can lead to hundreds of dollars in fines plus up to 90 to 180 days in jail for repeat offenses. Unfortunately, the New York criminal justice system tends to impose tough penalties on convicted persons. Both Class E and Class D Felony convictions can trigger a fine of up to $5,000, or double the amount the defendant made because of the crime. Since vehicular assault does not usually involve theft, most convicted defendants are likely to receive the $5,000 fine. These offenses are considered nonviolent felonies, which means they are more likely to receive an indeterminate sentence than a determinate sentence like violent felonies. An indeterminate sentence expresses a range of numbers, while a determinate sentence is fixed at specific number of years. Your license being revoked or suspended. Being required to take road safety classes and pass an exam. Being required to attend mandatory substance abuse counseling. Being required to install something called an Ignition Interlock Device (IID) in your car. An IID works like a breathalyzer, and if your BAC is too high, the device will prevent your car engine from starting. Vehicular assault convictions are particularly devastating for people who work in the transportation industry. People who work in fields like commercial trucking or driving taxis or buses could lose their professional licensing and be terminated from their jobs. Finally, a conviction will also result in a criminal record. Even with numerous anti-discrimination laws in place, many people with prior convictions struggle to find employment and be approved for loans and rental housing. If you or someone you love has been arrested for vehicular assault, it’s extremely important to contact an experienced attorney as soon as you can. To set up a free and private consultation, call our vehicular assault attorneys at (800) 730-0135 right away.